Melbourne Convention and Exhibition Centre's (MCEC) chief executive is confident that funding for stage 2 of the project's development, to expand the exhibition space, will be made available. Speaking at a press conference at Imex in Frankfurt, MCEC chief executive Leigh Harry revealed that the Victoria Government has already committed Au$17.7m to buy the reserved land adjacent to the site that would enable the expansion to go ahead. The project will require a further AU$250m to build and complete. "We've had very strong indication from ministers that funding for stage 2 will be made available," he said. 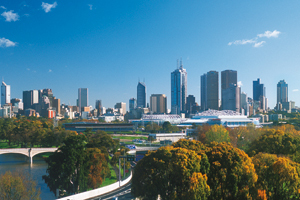 MCEC has hosted more than 700 events attracting some 700,000 delegates in its first year of operation. This included 64 major international conventions including the World Congress of Internal Medicine in March and the Parliament of World Religions in December, the latter of which attracted more than 6,000 delegates.